p>As every two years we will be present at the exhibition Electronica 2006 in Munich that will take place from 14th to 17th November. 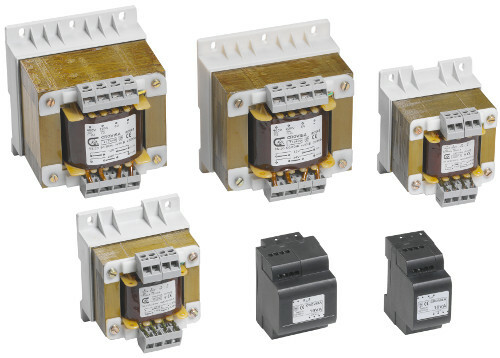 You can physically see the new transformers for DIN rail from 10VA to 400VA which we add to our catalogue of isolating and control transformer last year. And you can also see, the new inverters for photovoltaic solar energy that we distribute in powers up to 5000W. We return to attend another edition of Matelec exhibition which will be held in Madrid from 24th to 28th October 2006 at booth 5D410. You can physically see many custom designs we have been manufacturing for some of our clients in laminations, toroidal and ferrite core Switching Mode Power Supplies (SMPS). And also, see new inverters for photovoltaic solar energy in power up to 5000W we distribute. Matelec in Madrid, that we will be held from 26th to 30th October. You can visit us at booth 9E514. Electronica 2004 in Munich, from 9th to 12th November. 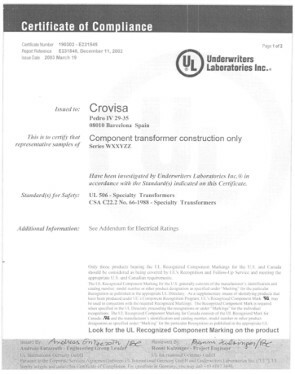 We are pleased to present the new single-phase isolating and control transformers in powers ranging from 10VA up to 400VA..
We inform with pride that we have obtained the UL certification for our encapsulated transformers, both EI format (0,6VA to 60VA) as low-profile (3VA to 30VA). 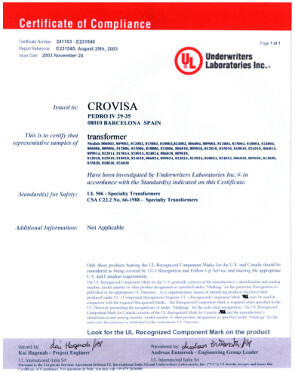 Our transformers passed the test of Underwriters Laboratories (UL) and may be marked both as UL and CSA. 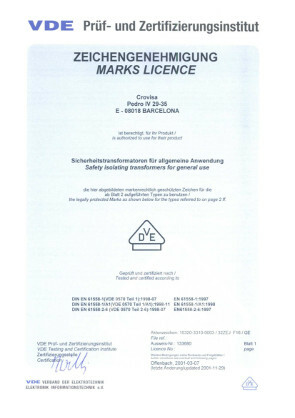 We have certified our encapsulated transformers according EN61558 standard by internationally renowned German institute VDE. Our encapsulated transformers passed the demanding certification tests and now you can find a VDE mark in our encapsulated transformers in powers between 1,2VA and 10VA.